RICHLAND, Wash. — Three scientists at the Department of Energy's Pacific Northwest National Laboratory have been selected to join the Washington State Academy of Sciences. 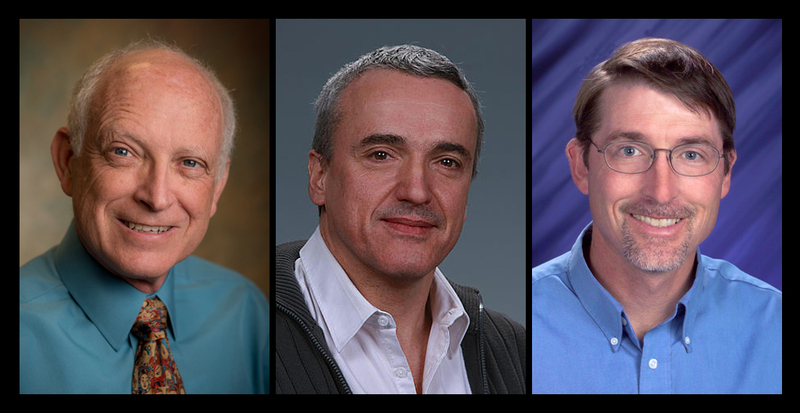 Don Baer, Alain Bonneville, and Jud Virden will join other scientists and engineers from across the state being recognized for outstanding scientific achievement and leadership. Academy members provide expert scientific and engineering analysis to inform public policy-making, and work to increase the role and visibility of science in Washington state. The academy was created in 2005 and consists of more than 220 members from diverse academic disciplines and industries, including aerospace, agriculture, computer, science, energy, engineering, ecology and transportation. PNNL now has 11 current staff members in the academy, including the three new inductees. Additionally, current academy president Subhash Singhal is a retired PNNL engineer who now serves as an independent consultant to the laboratory. The new members will be honored at the academy's annual meeting in Seattle in September. Baer is a PNNL Laboratory Fellow and the lead scientist for energy materials and processes at EMSL, the Environmental Molecular Sciences Laboratory, a DOE user facility located at PNNL. He was recognized for advancements in understanding how physical and chemical processes at the surface of a material or nanoparticle influence the behavior of the material or its environment, enabling removal of contamination from water, for example. In addition to research, he also helped develop the design and operation of EMSL. Bonneville is also a PNNL Laboratory Fellow and led PNNL's previous research initiative on carbon sequestration, and currently serves as the scientific advisor on subsurface sciences for DOE's "FutureGen 2.0" project on carbon capture and storage. He was recognized for his achievements in geological sciences, including geodynamics of the South Pacific and development of new technologies for minimizing carbon dioxide emissions. Virden is the associate laboratory director for energy and environmental research at PNNL, leading efforts focused on increasing the nation's energy capacity and reducing dependence on imported oil. He was recognized for his contributions toward solving clean energy and environmental challenges as well as for his leadership in developing industry and government research and development partnerships that have moved technologies into the marketplace.